San Diego residents leave all kinds of things in alleys behind their residences. What’s that saying about one person’s garbage being another’s treasure? 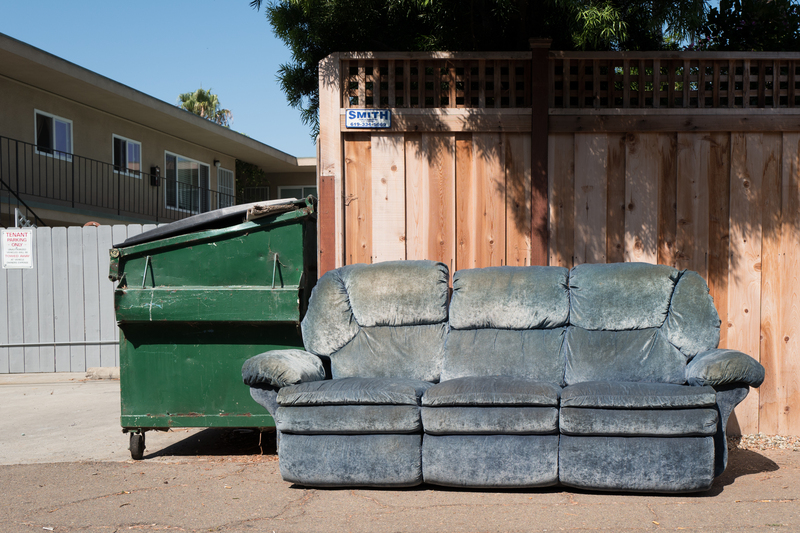 This sofa sits by a dumpster, but it waits for a new owner not the trash collector. The fabric’s texture and color reminds me of photograph “Try“, by Fe Ilya, which appeared in my Flickr-a-Day series that posted for all of 2015. I captured the moment on Aug. 14, 2017 at 10:21 a.m. PDT—after passing the couch several days in a row while walking up the alley between Cleveland and Maryland Avenues. The Featured Image, from Leica Q, is cropped to remove an ugly bucket and foreground shadow cast by a building, but otherwise is unadulterated. Vitals, aperture manually set: f/5.6, ISO 100, 1/500 sec, 28mm.